An altercation between student-athletes broke out during the Central Intercollegiate Athletic Association’s (CIAA) awards luncheon the day preceding its 2013 football championship game between Winston-Salem State University and Virginia State University. With numerous entities affected by the crisis and no existing CIAA crisis communications plan in place to guide them, communications 21 helped to manage the messaging with local and national media and CIAA fans who immediately knew about the incident via social media. c21 immediately secured a private room to avoid public conversations that might be overheard by media attending the luncheon. Then, CIAA officials and c21 requested schools administrators and sports information directors only issue statements after the CIAA made messaging official. c21 worked with the CIAA Commissioner, conference staff, legal support and the local authorities to learn all the facts, and issued an initial statement within 45 minutes of the event. 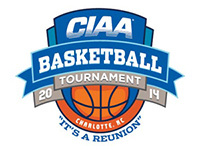 We provided regular updated statements until 8 p.m., when the CIAA announced the championship’s cancellation. c21 fielded calls from local and national media outlets, including the Winston-Salem Journal and USA Today, Fox News, CNN and CBS Sports. While media will often only cover the salacious nature of an event like this, the coverage included our key message that the event was canceled due to concerns around student and fan safety. The coverage was fair and balanced. And as a result of the crisis, the CIAA made several changes to its governance policies, including a zero tolerance for violence and greater control over the communication of member institutions during a crisis. c21 helped the CIAA communicate policy changes to its member institutions, developed a newsletter for better fan communication and created a crisis communications plan to guide the Conference if any future crises occur.